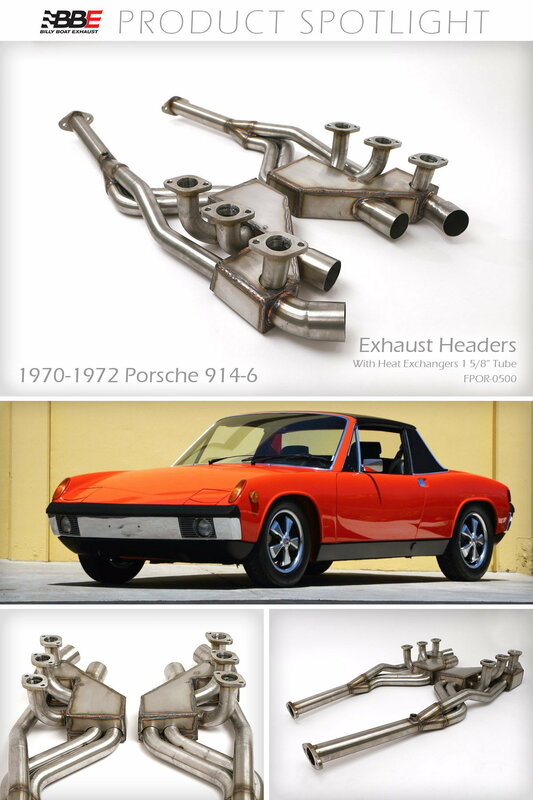 Find new horsepower and sound from these exhaust headers engineered for the Porsche 914-6. 914-6 Headers w/Heat Exchangers 1 5/8''. Have questions? Call Mike in sales at 623-581-7600 x18.